Many thanks to all those who attended the STFC Industrial Applications of Astrophysics/Astronomy session. We had 54 participants in all. Copies of the programme and presentations are available from STFC here. 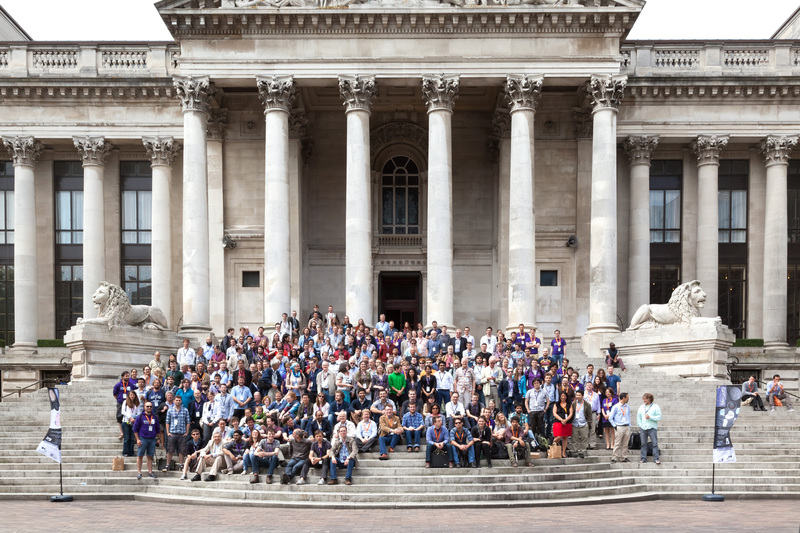 The conference photograph is now available. Many thanks again to all the attendees for coming! With thanks to the University of Portsmouth Press Office, we have a video below of some of the highlights of the recent conference. For the full story from the university, please click here. 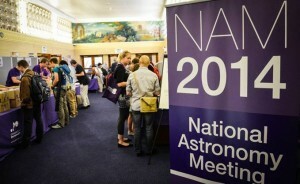 National Astronomy Meeting 2014 from University of Portsmouth on Vimeo. Thank you for coming to Portsmouth this week and making it a memorable NAM. We wish you all a safe journey home and hope you visit the ICG and city again some time soon. Many people have asked about the NAM photograph and we will circulate it as soon as we have it available. We’ll be updating our earlier photos from the meeting post with additions over the next day or two as well. Photos from NAM2014 can now be found on the ICG’s Facebook page. We hope to add more throughout the meeting. 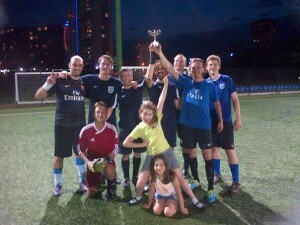 We are naturally very pleased to announce that Portsmouth won the NAM Football tournament this year! Many congratulations to the players: Mat Pieri, Andreas Papadopoulos, Tom Melvin, David Wands, Daniel Thomas, Harry Wilcox, and Arron Knight. As NAM approaches we would like to highlight some recent updates to our webpage. Our “For the delegates” page has been updated with information on wireless connectivity at NAM. We have a new workshops page highlighting those special events which will be running alongside the standard parallel sessions. The traditional NAM football tournament will be taking place on the evening of Monday 23rd June. If you are interested in taking part please notify us by emailing football@nam2014.org by the end of the week (Friday 13th). Individuals or institutional teams are very welcome. Please indicate if you are vegetarian. The time and place will be announced late next week. Tickets for Jo Dunkley’s public talk are almost sold out. If a delegate wishes to pass on their ticket to a member of the public, please let us know at info@nam2014.org. Our Planet Walk – a scale model of our solar system spread across central Portsmouth, featuring artwork by local children – has a finalised ‘Passport’ ready for download for those who wish to download and print a copy before visiting it. We look forward to seeing you all in Portsmouth soon! Official registration for NAM2014 has now closed. In response to many enquiries, we have extended registration for NAM2014 until Noon (UK time) on Monday June 2nd 2014 to give people an extra weekend to plan their trips to Portsmouth. Please register before this time and date to avoid disappointment, especially as several of our social events (Science Comedy Supernova, Banquet) are now close to capacity. We are aware that many people with accepted contributed talks and posters have still not registered (see final schedule online now). Likewise, we remind all parallel session invited speakers that they must register as well. People will not be allowed into the venue buildings without an official name badge and lanyard, which could result in you missing your talk or unable to present your poster. Please register asap. Thank you. 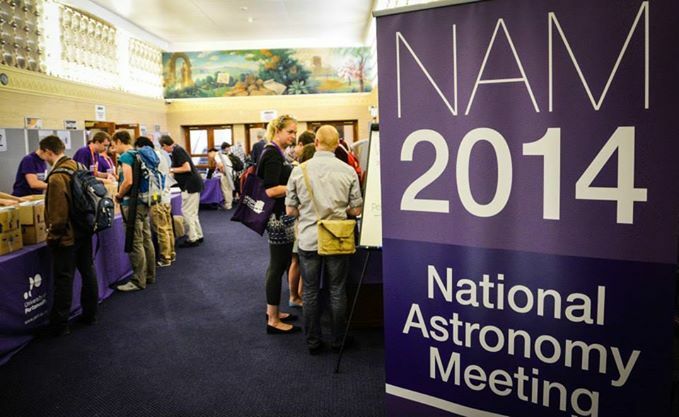 After Monday June 2nd, we cannot guarantee participation in NAM2014, including availability of university accommodation, inclusion in the published delegate information, and associated NAM2014 merchandise. After this date, people will need to contact info@nam2014.org for further information.